Rachelle Simpson makes her way to the end of the platform as it sways ever so slightly. She doesn’t focus on the thousands of screaming fans below, or the waves slamming against the rock face or the wind roaring past her ears. Instead, she has tunnel vision. Her heartbeat rises. She gives the OK to the safety divers 60 feet below. Her hands raise overhead. The familiar grip tape is rough beneath her toes. After a deep inhale, she counts to three and lurches forward into her first somersault. She extends out of the pike position and nails a half twist during the third somersault. Her feet smack the surface of the water at 53 mph. The tingle of pain in her arches is forgotten as the force of the impact drags the rest of her body below the surface. In cliff-diving competitions, Simpson dives from heights of 62 to 72 feet on a regular basis. That’s double or more the height of Olympic platform diving. It’s a legit sport. Just ask Olympic gold medalist Greg Louganis who judges some of the competitions. 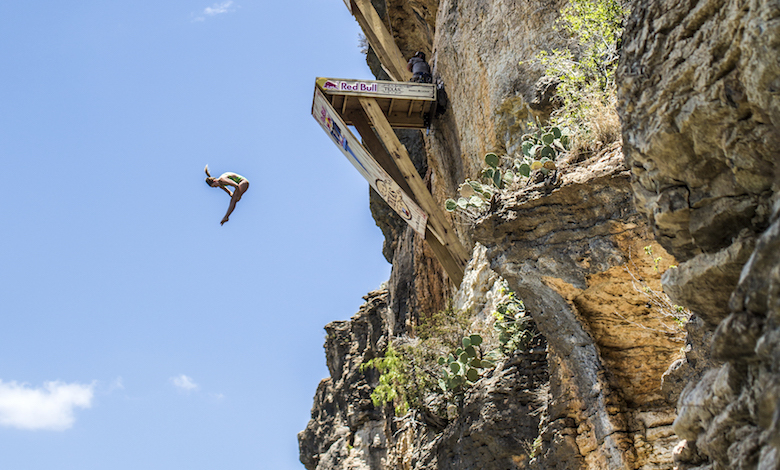 Cliff divers do similar skills, with similar technique, as Olympic platform divers — just always to a feet-first entry. And since 2012, Simpson has had a charmed career in her sport. For starters, she was the first champion of the Women’s Red Bull Cliff Diving World Series in 2014. She landed that title again in 2015. She was also the 2015 FINA High Diving World Champion. 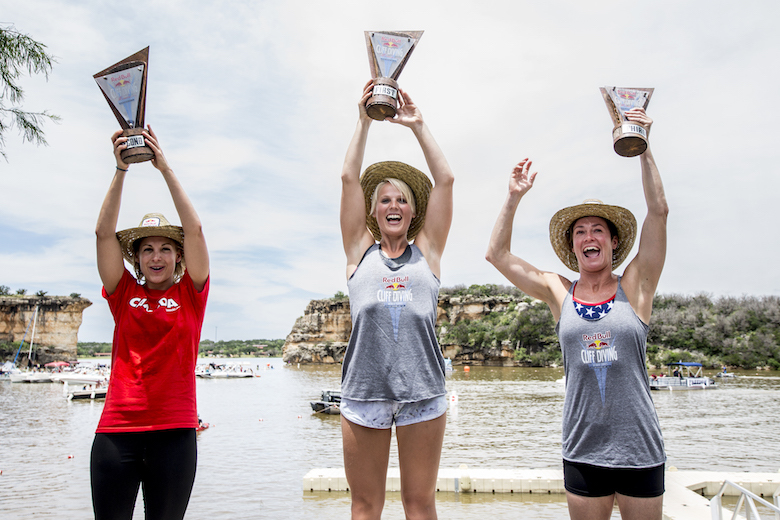 Second placed Lysanne Richard (L) of Canada, event winner Rachelle Simpson (C) of the USA, and third placed Ginger Huber (R) of the USA celebrate with their trophies during the third stop of the Red Bull Cliff Diving World Series, Possum Kingdom Lake, Texas, USA on May 29th 2015. Simply put: She rocks. So it comes as no surprise that most know her as “Rocco,” a nickname she earned in high school for being a hard-core diver. Many, she suspects, don’t even know her real name is Rachelle. Bad landings, of course, can end in hospitalization or even death. It’s in her nature, however. Her willingness to take risks was clear early on. As a child, her parents owned a gymnastics school, which served as her playground. It’s where she showed the hallmarks of a true daredevil and laid the foundation for her gonzo adventures in the future. As an adult she landed a gig as a professional acrobat in 2012. As part of “The House of Dancing Water,” a Chinese theatrical show, she performed her first high dive on stage. 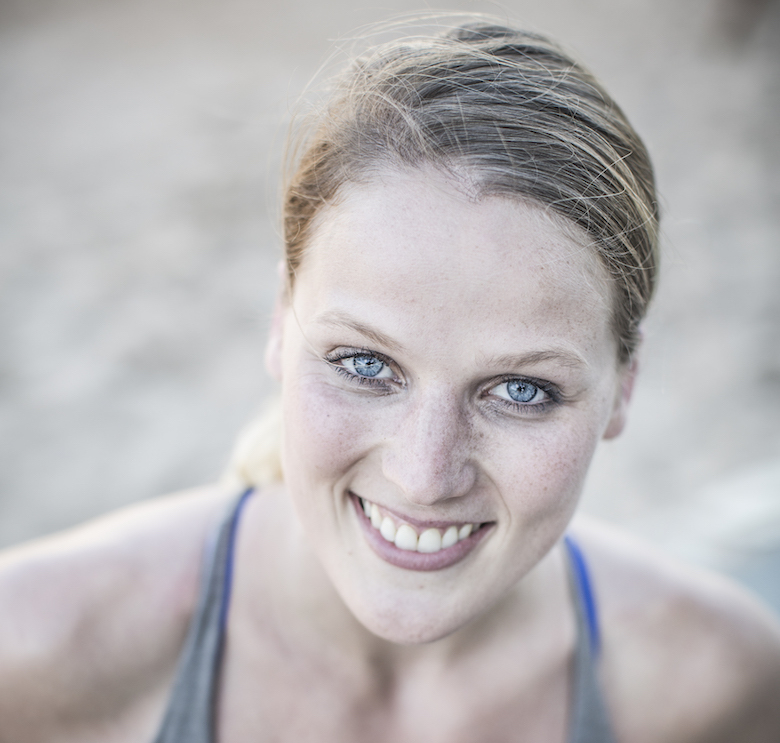 Two years later, she noticed Red Bull was searching for cliff divers, so she sent in a video. Red Bull snagged her up. And at the first stop of the series, in her home state of Texas, she did her first cliff dive. 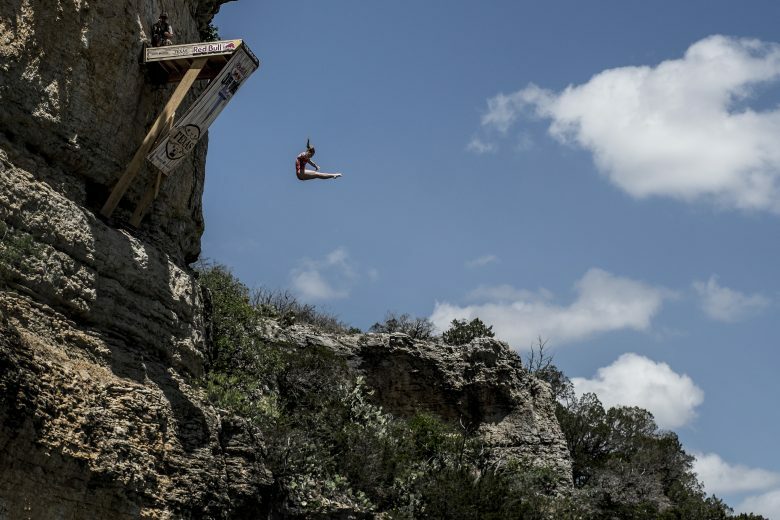 Rachelle Simpson of the USA dives from the 20 metre platform at Hells Gate during the second stop of the Red Bull Cliff Diving World Series, Possum Kingdom Lake, Texas, USA on June 7th 2014. These days, she trains five to six days per week, squeezing in 1-2 hours of yoga a day, 2-3 hours per day at the gym and 1-2 hours each day actually diving in a pool. It’s clear that she tackles things head on. But does fear ever enter the picture? Indeed it does. Every single time she’s on the platform, she says, her heart rate elevates like crazy and her palms sweat. But she knows the rush of throwing herself off of the platform is worth it. Sarah Sekula is a Florida-based freelance journalist and video host who covers adventure travel, health, wellness and fitness.